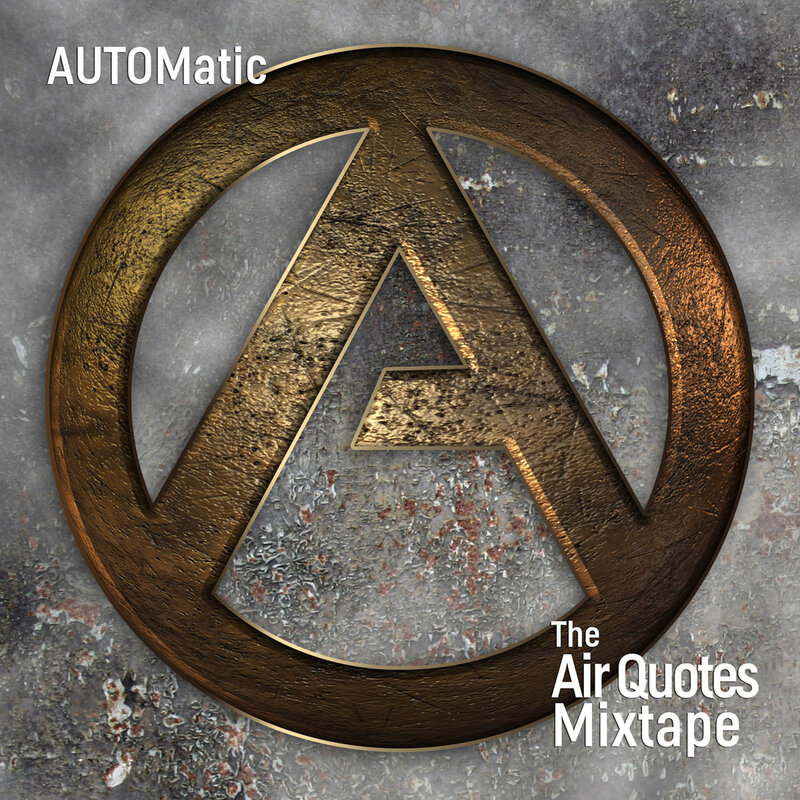 The New New - AUTOMatic "The Air Quotes Mixtape"
Yo!! The homies at AUTOMatic FINALLY dropped a new joint on us last Friday....totally unannounced, off the radar on some "thief in the night" type ish. The Air Quotes Mixtape (Ha...verrrry funny guys) is a nice project that as a longtime fan, I feel gives us some new life to older favs thru some ILL remixes, but more importantly gives us a look into what sounds like a rather nicely evolving sound from the crew (APRIME, Trellmatic and new addition, DJ JDL Rockwell). APRIME is in his usual smooth, breezy self on most of the album, but on tracks like "Bow Down" and "Black Smack" we get to see a more aggressive side to his penmanship. I'm not sure how the rest of the fanbase will roll with it, but it's definitely a welcome addition to his repertoire. On the production side, while sampling has always been a key element to the AUTOMatic Music staple, the crew sounds like they're branching out more and more with live instrumentation and lush keys. Again, growth is definitely taking place here and if this "mixtape" is any indication of what's down the road...let's just say, I CAN'T FKN WAIT. Stream it for free or more importantly, pay what you please for the download.